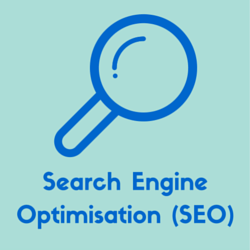 The infographic below has 8 useful tips to help your Adelaide business website rank better in the search engines. Below the graphic you’ll find a further explanation of each of the tips mentioned. Sounds like too much work? Let us take care of it for you. 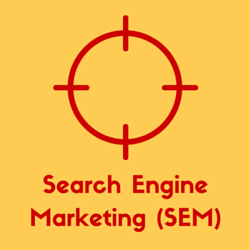 Check Out Our SEO Services. 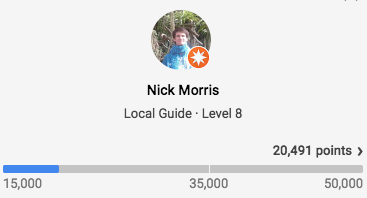 Tip#1: Add Location Keywords to your Titles and Content – If you are targeting people in a particular location then you should include that location in your page’s titles and content to help them find you. A page’s title appears in the top of the browser window (see image above) and in the search results (see image below). The method for changing your website’s titles depends on how your website is set up. It could be as easy as logging into your admin area and making the change yourself or you might have to get a developer involved. Tip#2: Submit an Article to www.adelaideexperts.com.au – Adelaide Experts is a new website we have created to help business owners to promote themselves and their businesses to a wider audience in Adelaide. The idea is that you write an article in your area of expertise and we’ll publish it on the website. The article will allow you to showcase your knowledge and you’ll also have the opportunity to include a link back to your website. Tip#3: Add your Business to Local Directories – This is any easy way to get links and increase your digital footprint. We have a list of 50 Australian Business Directories which you can use to get started. Bonus Tip: If you are an ex UniSA student, you can add your business to their Alumni Business Directory. Tip#4: Put Interesting Content on your Website and Share it – Interesting and useful content will naturally attract links and social shares as well as demonstrate your knowledge and expertise. 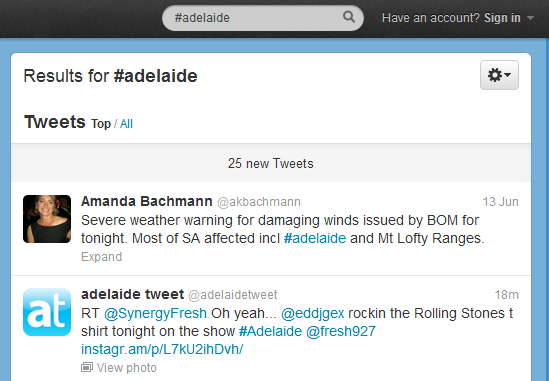 You should share any content you create via your social media profiles and you can use the hashtag #adelaide on Twitter as many Adelaidians use and follow this tag to keep up with the local social scene. 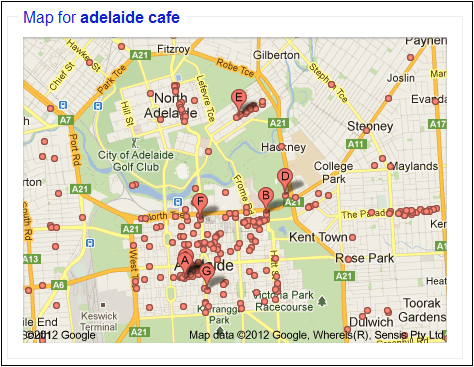 Tip#5: Claim your Google Local Listing – The Google Local Listings often appear towards the top of the search results when someone makes a search that Google considers ‘local,’ such as “adelaide cafe.” Claiming (or adding) your business to Google Local is a simple process, you can get started here. Local businesses can propel themselves to the first page simply by claiming their local listing. Tip#8: Encourage your customers to submit their positive feedback on review sites and social media – This isn’t strictly an SEO technique but more of an overall marketing strategy. Positive referrals and word of mouth will always bring you more business and social media and the web can magnify those benefits.